Let me fill you in before you get mixed up into this mess. Firstly (and the most obvious) this is a school for paranormals. Not just people with powers but there&apos;s also angels, fallen angels, mermaids, demons, Satan&apos;s children, God&apos;s children, many other mythical creatures etc, etc, etc- I think you catch my drift. Anyways, this is kind of a messed up school (as if you hadn&apos;t figured that out already) so please don&apos;t be alarmed when you discover some of the most bizarre things that occur in this school...reporting it to the government will only question your sanity. "Have you heard yet?" Was the first thing that came out of the demon&apos;s mouth. I got out a cigarette and put it in my mouth. "Heard what?" I asked. "About the new human - what else would it be?" The lowly demon said in what I could only perceive as a snarky tone. With my feet that were already resting on his back I dug my heels into him. "Would you like to repeat yourself in a different tone?" I growled, black smoke coming from my mouth. His skin paled (well not really, seeing as how his skin is red and all...) and he vigorously shook his head. "S-Sorry, I forgot myself in the excitement." My eyebrow raised. "What&apos;s there to be excited about? Humans enrol, some learn, some die, they all leave the school one way or another within a year. Nothing exciting about it." I clicked my fingers and the tip of my index finger caught on fire and with that finger, I lit my cigarette. I rested my head back on the velvet red sofa and closed my eyes. He fumbled for words and scratched the back of his head. 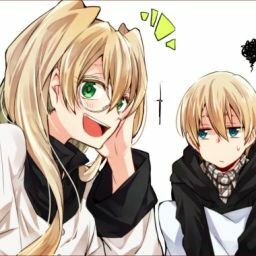 "Y-Yeah, but it&apos;s still quite interesting, don&apos;t you think? 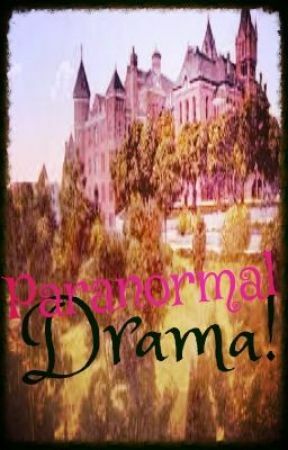 Humans coming to school for paranormals..." He said and my eyes immediately snapped back open, kicking him away from me. "Arms up," I ordered. When he didn&apos;t do it straight away I snarled. "Now," I added. He slowly raised his arms up in the air. "Now, hold your breath," he did so, "and keep holding until I am finished talking." I stood up and started to circle the demon. "Don&apos;t ever mention the word &apos;paranormal&apos; around me ever again. I am a child of Satan, heir to the throne; not some human experiment gone wrong or a mutant. It&apos;s their side that is the paranormal side - this is the side for mythical beings. The greatest creations. Beings that humans fear so much and make ridiculous stories about. The ultimate races." Somewhere during my rant, I had gotten a hold of his throat and held him above the ground. He started gasping for breath. "Keep holding, I&apos;m not finished yet!" "Lillith, put the boy down, you&apos;re killing him," A lazy voice said. "&apos;Lillith, put the boy down, you&apos;re killing him&apos;," I repeated in a taunting tone before releasing the demon. He fell in a heap to the floor, his poor throat crushed but he&apos;ll live...possibly. "Orion, you always ruin my fun." I turned to face my big brother. He had the same similar features to me. Dark brown skin, ash black hair, vivid red eyes, ember that floated above his head and a passion for blood. He sighed and bent down to look at the demon&apos;s face. "He&apos;s unconscious, that&apos;s an improvement from last time." "Oh, shut up," I said, punching him on the arm. "Ouch, little sister, that hurt." He said in a monotone voice, giving me a sarcastic look. "I&apos;m not out to kill you just yet, naturally I&apos;m not going to go all out." Then I got an idea. "I wonder if the new human has ever seen Devil Blood?" I said while giving Orion a wild smile who only shook his head. "Sometimes, I wonder if you&apos;re the evilest one out of both of us." He said and I grinned. "But you&apos;re forgetting one thing, little sister. Being conniving is the key to being evil."